Where’s Wallis? 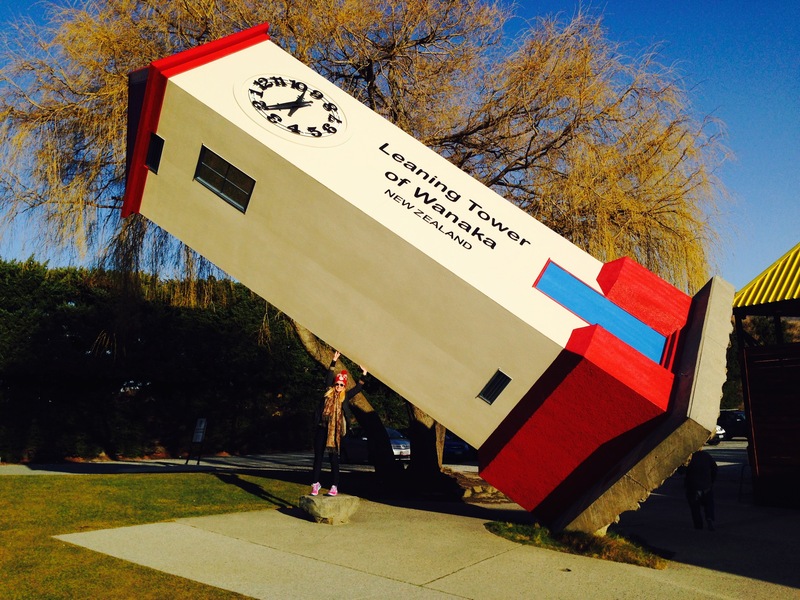 Wanaka & Queenstown, South Island, New Zealand – Where's Wallis? 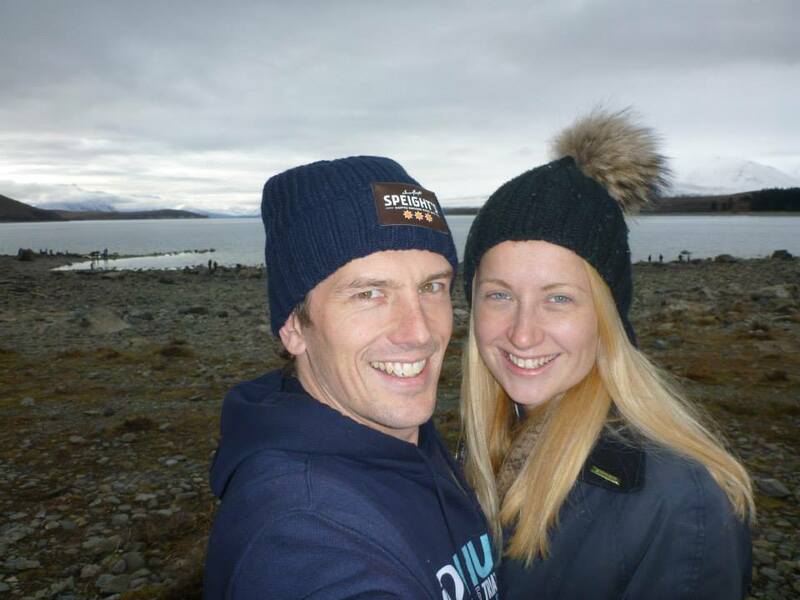 After our lunch pit-stop at the Fairlie bakehouse we drove via Lakes Tekapo and Pukeaki, and then Twizel where Ben told me tales of summers spent rowing when he was younger. Ben picked the ‘Aspiring Holiday Park’ from the travel guide that came with the van. I was a little disconcerted by the name until he told me that it’s namesake is the nearby Mount Aspiring, rather than just because it’s aspiring to be better. In fact that couldn’t be further from the truth, it turned out to be the best holiday park that we stayed in all trip. 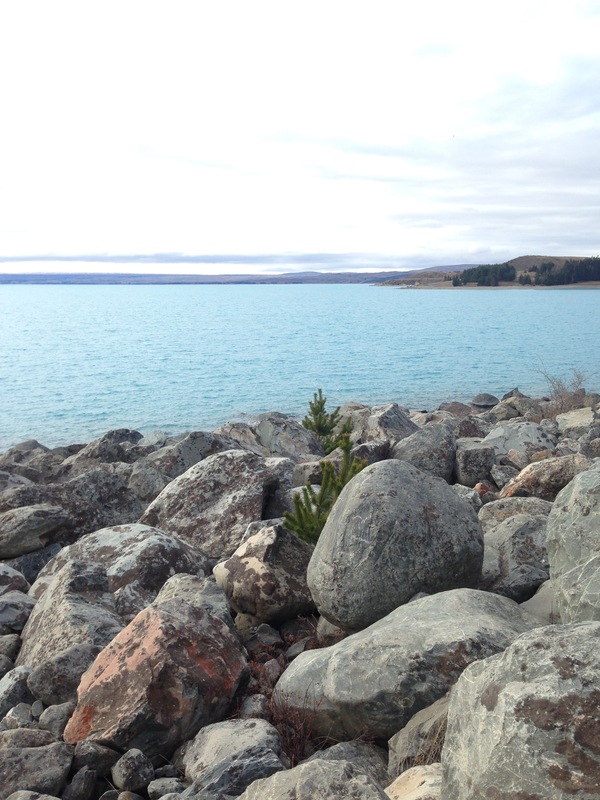 It was part of the ‘Kiwi Holiday Parks’ network and was $47 for a powered site for the night. It had a jacuzzi and sauna that were free to use, and our powered site looked down towards the lake so that when we woke up the next morning we opened the curtains to see trees and mountains! Definitely preferable to a view of the neighbouring van. 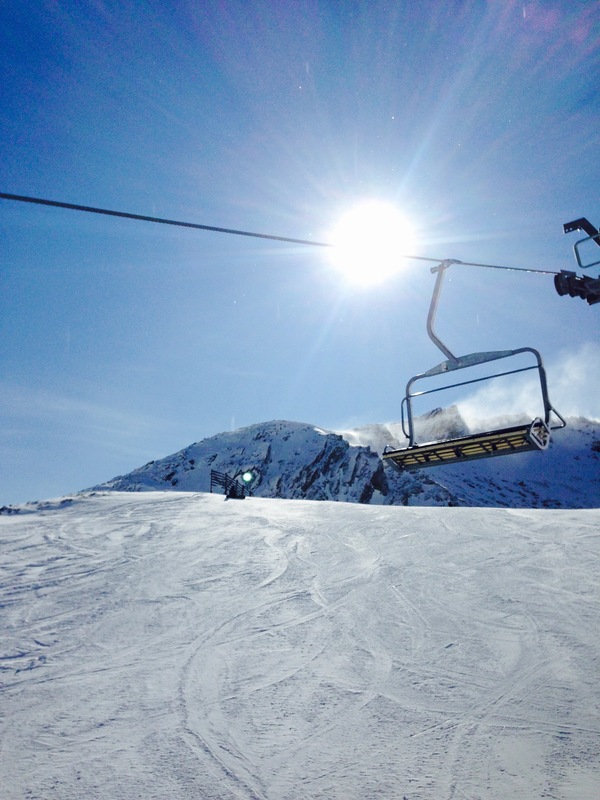 Monday morning and the sun was shining for our first day on the slopes. 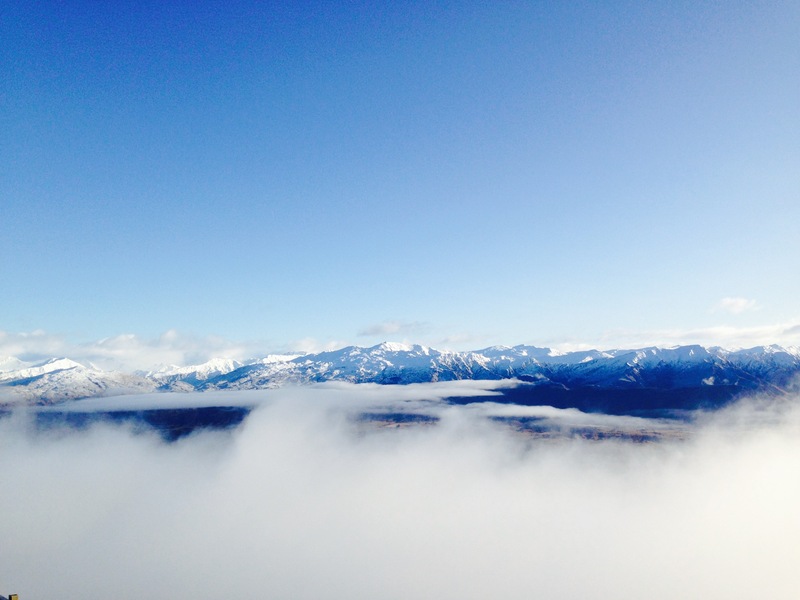 From Wanaka we had the choice of going to Treble Cone resort or Cardrona. I’ve only ever skied in the Alps before so found it very strange the way that you can’t stay at the resorts – everyone just drives up in the morning and home at night. 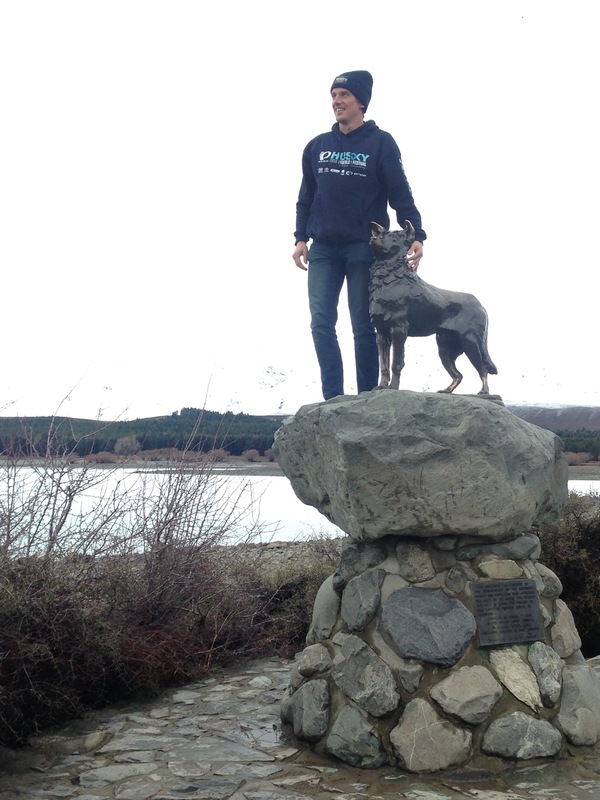 The drive from Wanaka to the start of the mountain road up to Cardrona is c 30 mins. We were fine to drive this in the camper and to drive right up the mountain road to the resort car park where you could buy lift passes, hire ski-equipment, etc. It takes about 45 mins to get from Cardrona to Queenstown via the Crown Range road, as opposed to the ‘safe route’ where you have to drive virtually back to Wanaka and around on the route 6, which takes c 1hr 45. We had a stunning day for it. Ben snowboarded. I ‘pushed him over’ coming off a lift, resulting in a fall where he sustained a small cut on his shin. I have not heard the end of it since and various people have been informed about my abusive tendencies! 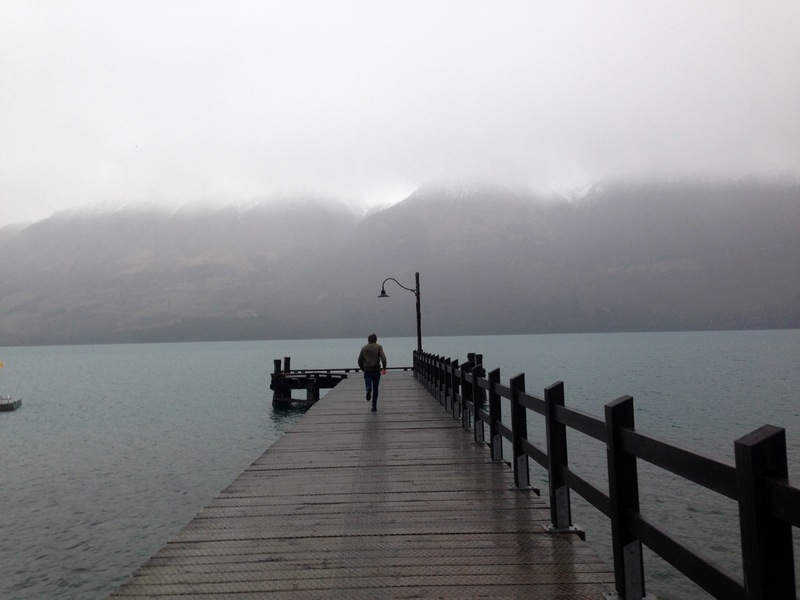 In Queenstown that night we stayed at the ‘Lakeview Holiday Park’. $55 a night and this time we could not see the lake, only the neighbour’s van. It should aspire to be more like Aspiring holiday park. Whenever I told anyone I was going to Queenstown their response was “You should go to Fergburger” So to Fergburger we went. We ended up getting there about 9pm meaning there was no queue and we had a c 20 minute wait for our food. Don’t get me wrong, the food was really good, but I think perhaps the hype is due to the lack of anywhere else similar in Queenstown. Worth a meal there if you’re in town, but try to avoid at peak hours! Monday night was filled with anticipation and regular glances at the sky. 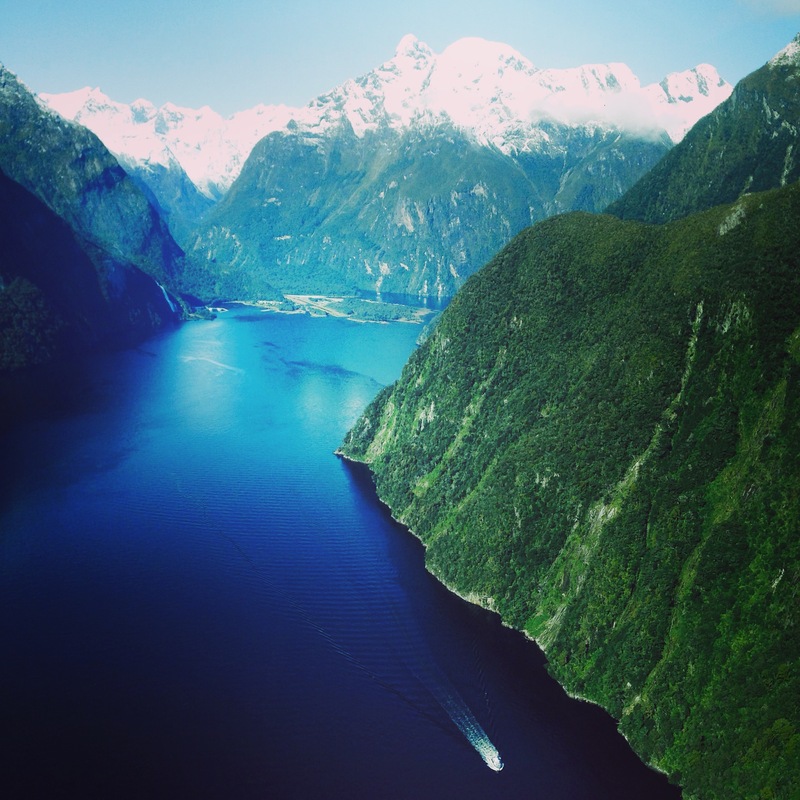 This is because the main reason for our visit to Queenstown was to go on a scenic flight with Air Milford over to Milford Sound and then a cruise there with Southern Discoveries, but the flight only goes ahead in good weather. We woke early on Tuesday, to somewhat grey skies, and eagerly phoned Air Milford. They informed us that it was a no-fly day, and 90% chance that Wednesday would be too. We weren’t flying back to Sydney until the Monday morning so made the decision to stick around QT with the hope of flying on Thursday. 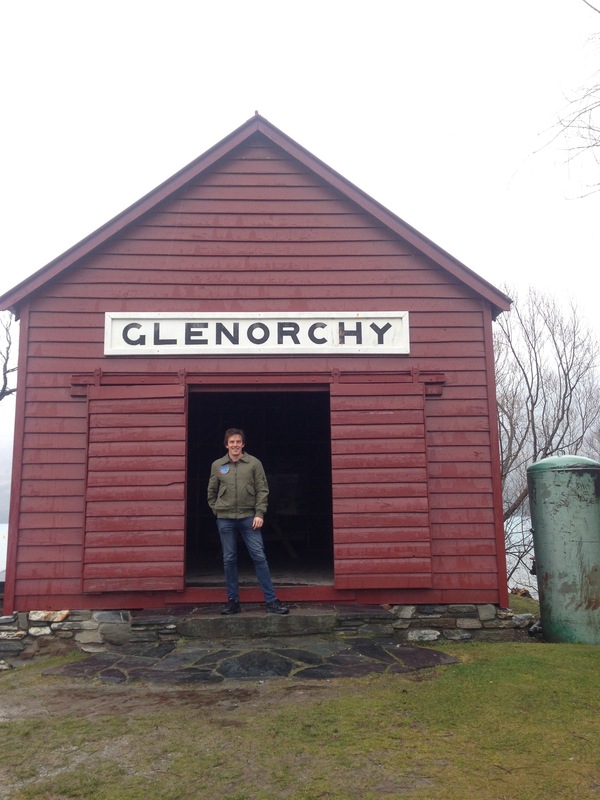 First we drove up to Glenorchy, the northern most point on Lake Wakatipu, which was only connected by road in the 1960s. This is apparently one of the top 12 most beautiful drives in the world (or top 10, depending which list you read). 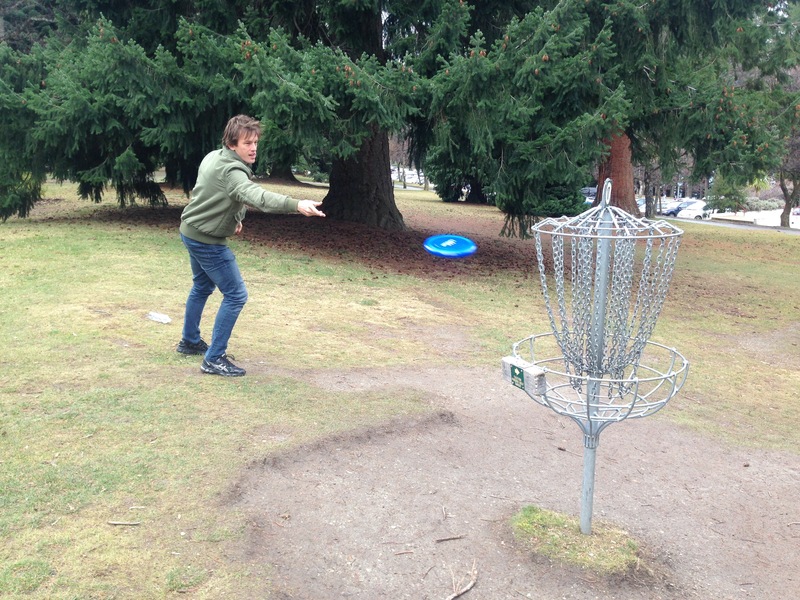 Once we were back in QT Ben introduced me to frisbee golf, or ‘disc golf’. QT gardens has a full 18 hole frisbee golf course. This became competition 2 of the holiday. 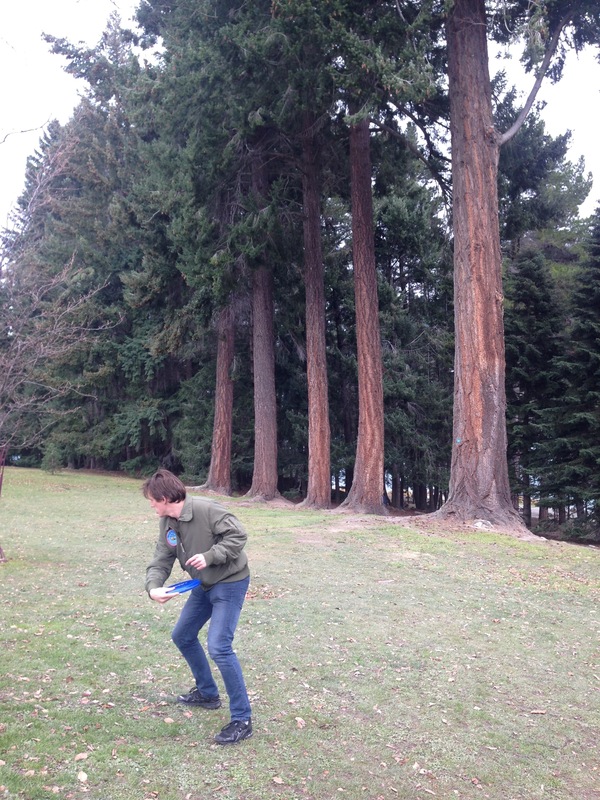 It was a closely fought contest, and a slightly unfair one…because we only had 1 frisbee we decided that we’d each have turns on alternate ‘holes’ and our score would be whatever below/above par (mainly above) we were. Therefore we were both slightly at the mercy of the course design. One of the holes was a par 3 over 145metres. 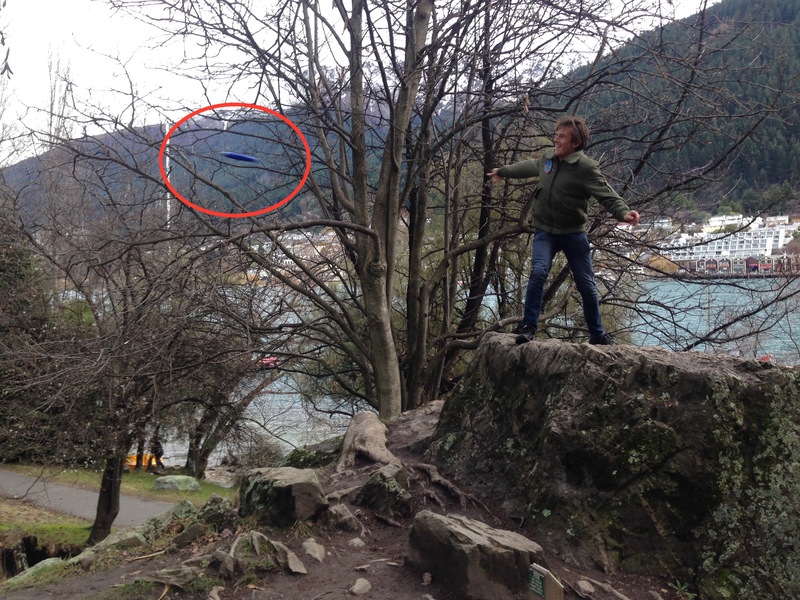 Perhaps our little free Speight’s frisbee just wasn’t cut out for the professional frisbee golf world, or perhaps we just don’t have the knack, but we got it in about 10 throws! 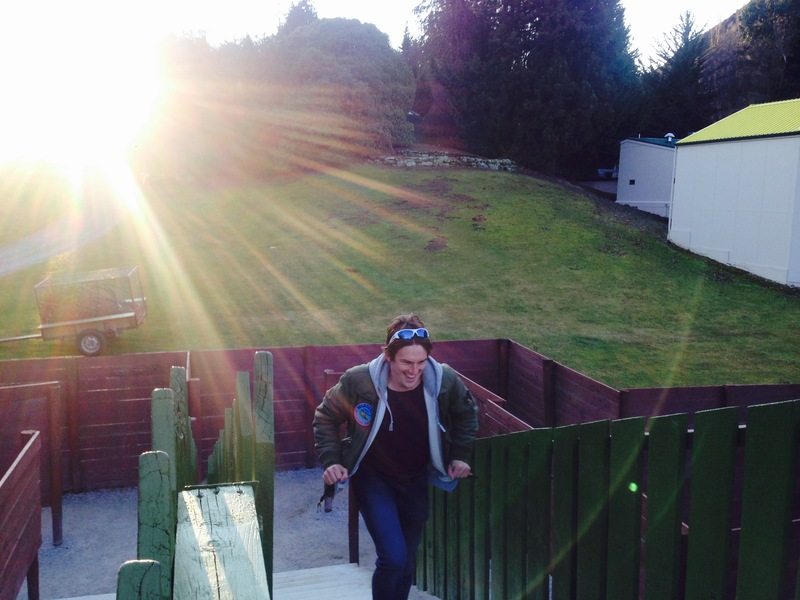 It was a close competition in the end and Ben won by 33 – 38, taking the great NZ games tally to 1 – 1. 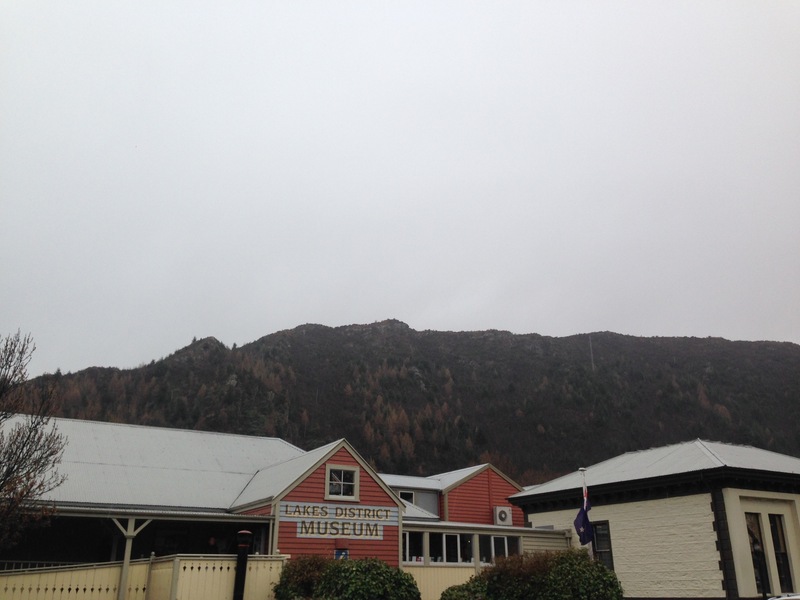 The rain had picked up so we popped into Gibbston wines tea room along the main street in Arrowtown. They had a roaring fire and mulled wine on offer. 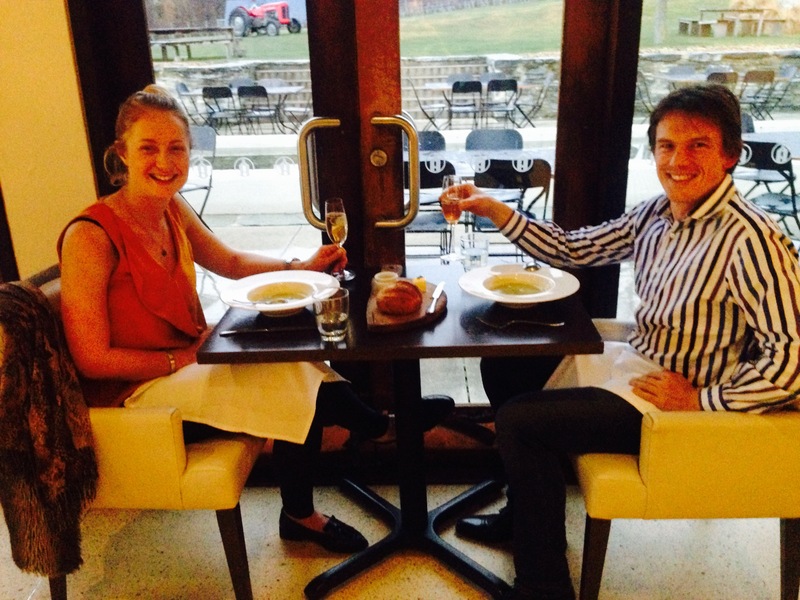 This got us warmed up for the evening…we’d booked a dinner at Amisfield vineyard to celebrate Ben passing his CFA 3! The Amisfield restaurant is slightly in no-mans-land between Queenstown and Arrowtown, so we were unsure how we’d get back to either town to camp. 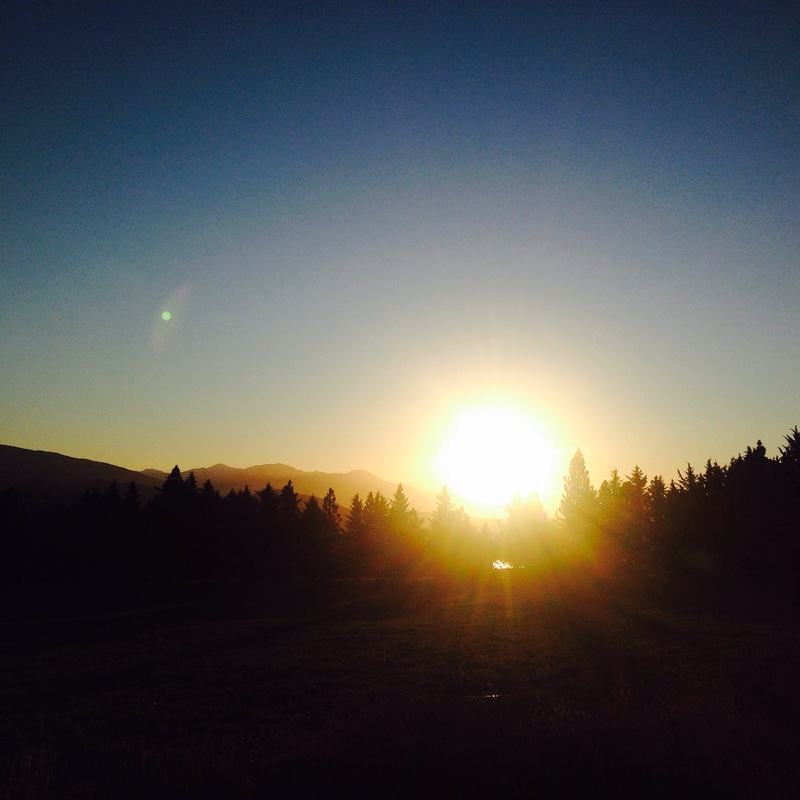 We then realised…why do we need to be in a town? 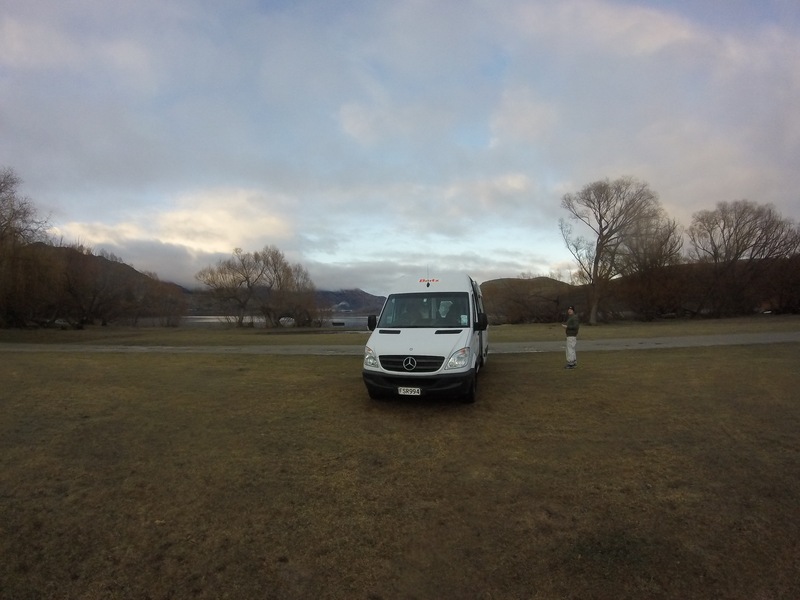 So we found a little spot a just near Amisfield on the shore of Lake Hayes to park up for the night. Waking up there was magical, if a little cold since we couldn’t get any heating when not plugged in! It was a clear night of about zero degrees, which meant it was another stunning day for skiing the next day. It was still a no-fly for Air Milford because of the weather over at the coast where we were heading! 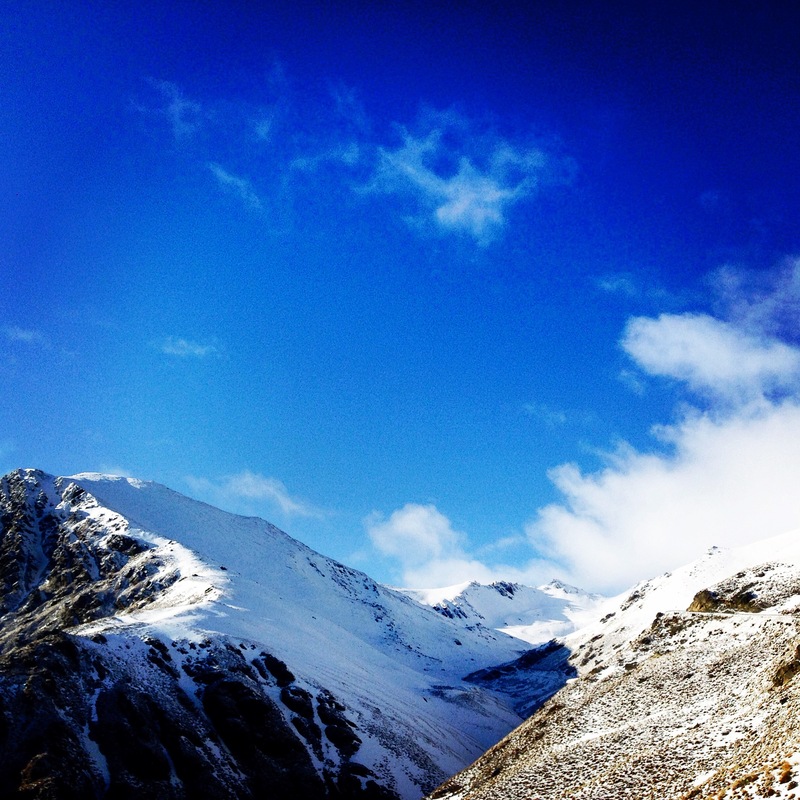 From Queenstown you can easily ski at any of: Coronet Peak, The Remarkables or back at Cardrona. 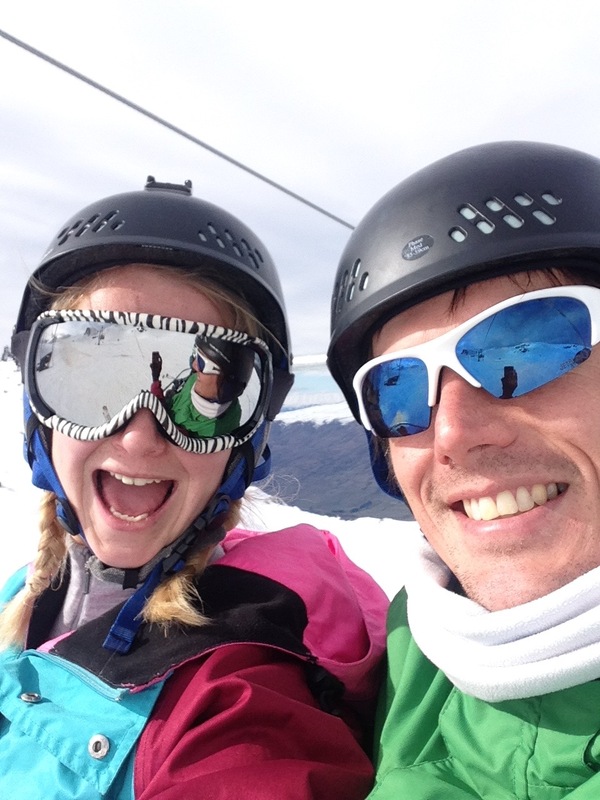 We had heard that the Remarkables was a good mixed ability resort so pootled on up there. 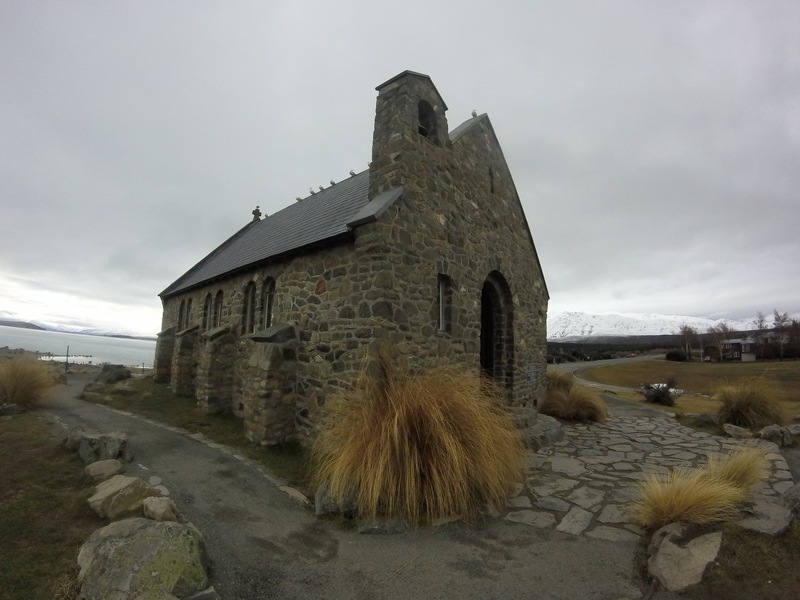 On the drive up to the Remarkables! We had to put snow-chains onto the camper van for the drive up to the resort, and as hard as we’d tried to listen to the information overload on pick-up we couldn’t even remember whether it was front wheel or rear wheel drive! 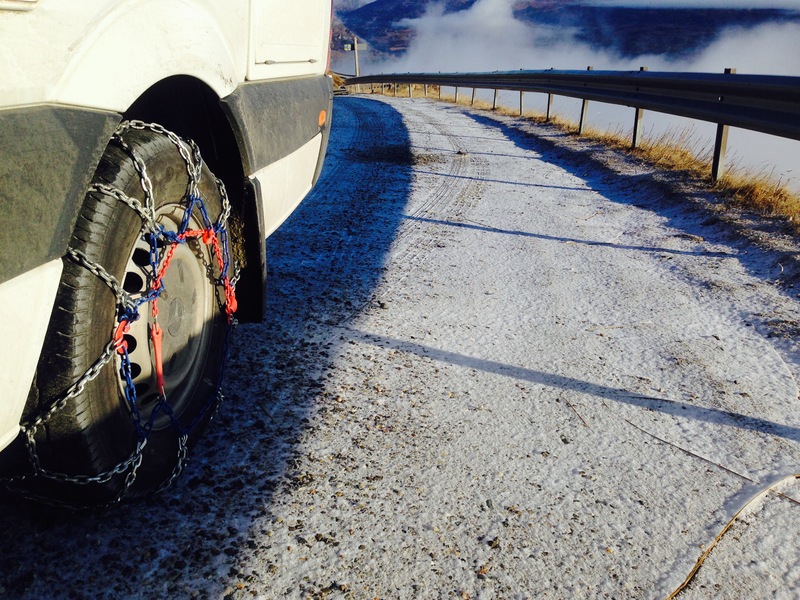 Luckily there was ‘snow-chain assistance’ en route up and they speedily fitted them to our rear-wheels. My friend Kristin from Sydney had one of her lifelong friends from the US over visiting her, and Lauren (said friend) was in QT for a few days, so we met up for a day on the slopes. 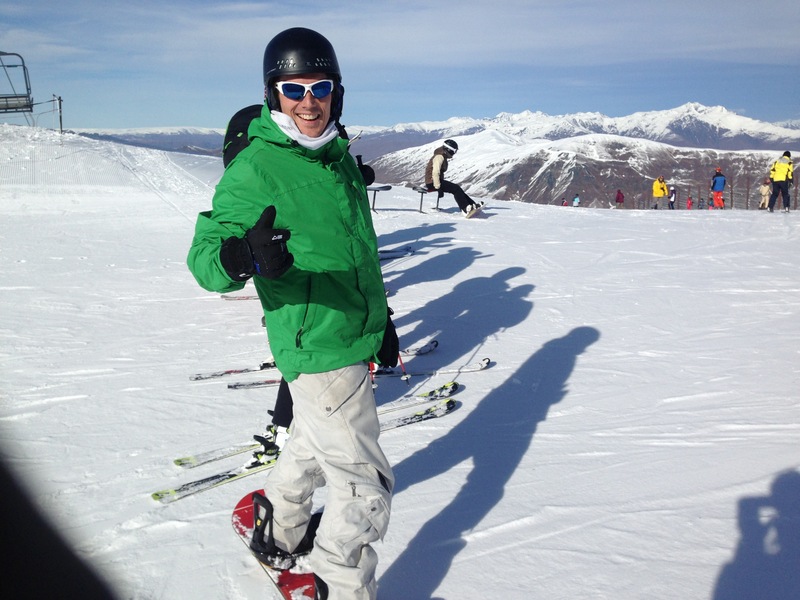 It was great fun, Ben converted to skiing (wahoo) and we all went for a tasty Mexican dinner in Queenstown that night. IT WAS A FLY DAY ON THURSDAY!!! I have an obscene number of photos from our scenic flight so that’s coming separately in my next post. But it was completely wonderful. We drove from Lake Hayes to the QT airfield for about 9am, had the most fantastic trip and were back in QT by 2pm, meaning we still had the afternoon ahead of us. I mentioned earlier I’m not the biggest museum fan. Contrast this with Ben who can sniff out a museum from a mile away…specifically an aircraft museum. We went to 2 during our brief time in NZ (add on fighter world from Hunter Valley and that’s 3 in about a month!) 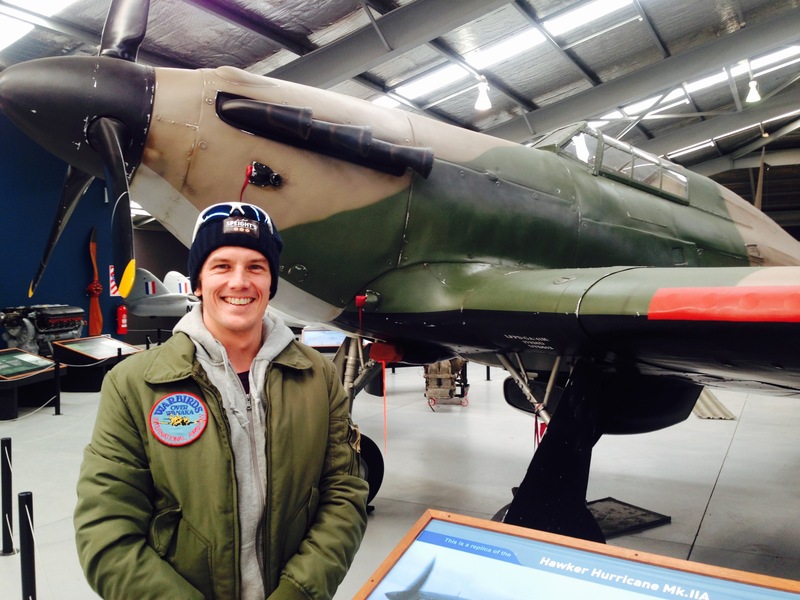 Thursday afternoon saw a visit to ‘Warbirds & Wheels’ in Wanaka. 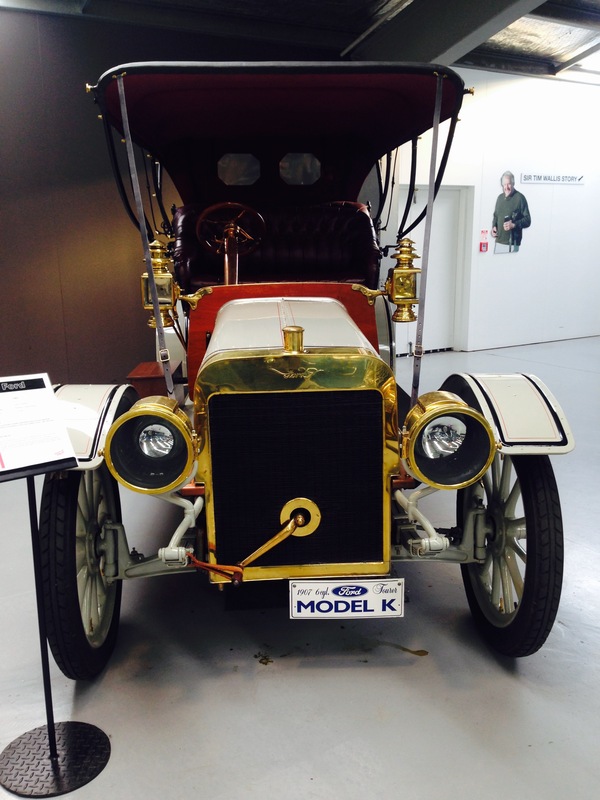 I have to admit, I did enjoy looking at the planes and the classic cars were beautiful. However I just don’t read every fact about them like Benny does, meaning I was done about an hour before him and ended up exploring an art exhibition that they had on, and their feature on Tim Wallis (obviously I liked him, great name) who was a local entrepreneur and pilot. There was a ‘toy and transport’ museum next door, but thankfully Ben had been told that this wasn’t worth a visit so I was spared. After this we went to PUZZLING WORLD! This was right up my street. Interactive – tick. Mentally challenging – tick. 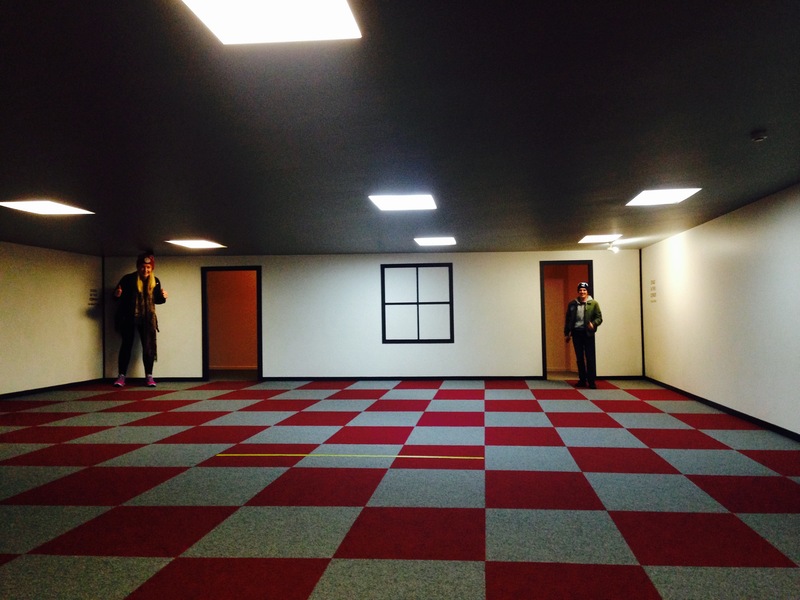 Given I’ve spent the last 6 months in Sydney working with the awesome team at The Enigma Room – Sydney’s BEST escape game I am a big puzzle fan. 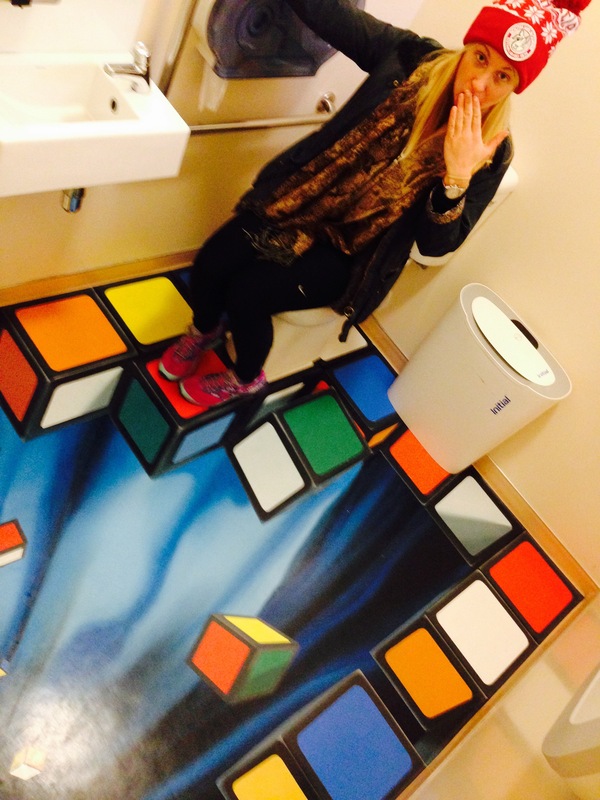 Puzzle world was full of optical illusions and a puzzle room but by far my favourite part was THE MAZE!!! 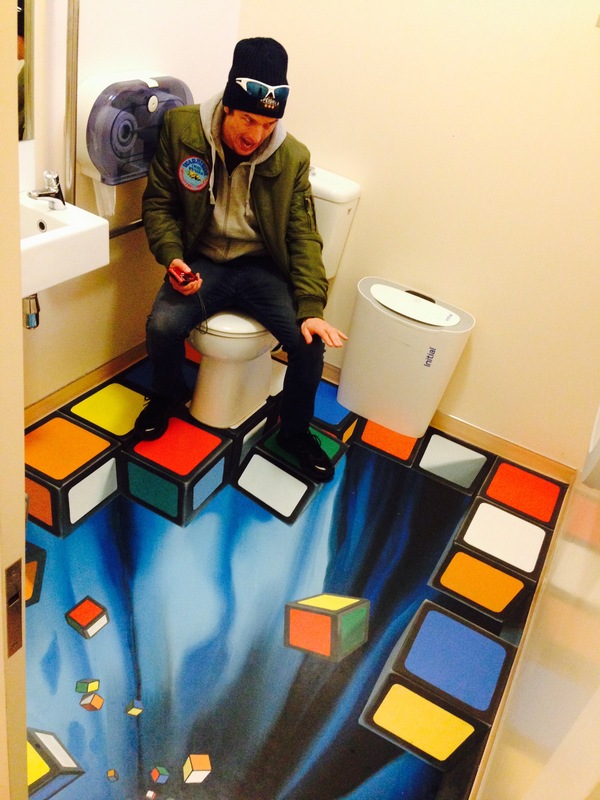 Surely everyone loves a good maze? This became competition number 3 in the great NZ games. The objective: get to each of the 4 coloured corners, take photo to prove it, then get out. I took an early lead, beating Ben to the first 2 corners. I then got horribly and frustratingly stuck in the same area for about half an hour whilst I saw Ben running over the footbridge shouting that he’d made all 4. We’d worn ‘warm clothes’ because the maze was outside. These were not needed as we were both sweating due to the frantic running. Small children were scared of us thundering around corners. I made a comeback, somehow escaping the groundhog day maze loop and making it to the final 2 corners and then to the finish, as Ben was up on the footbridge – did he ever move? 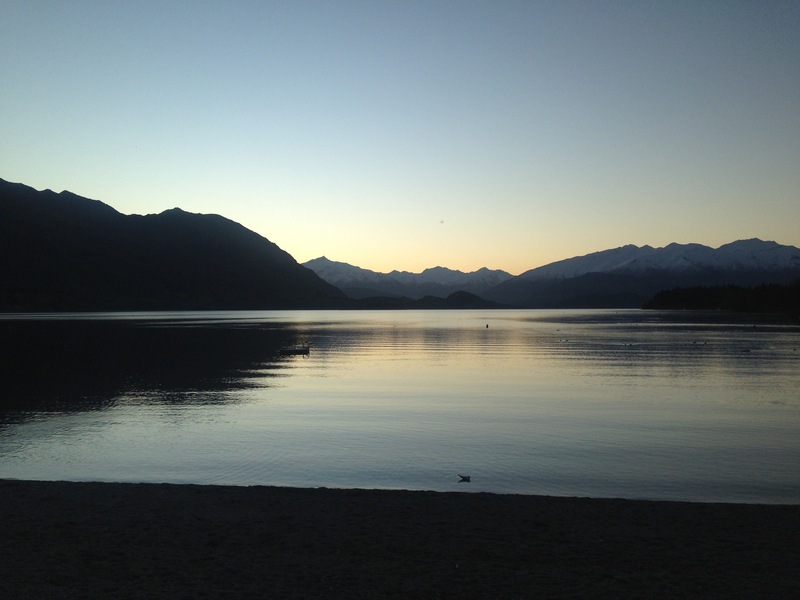 That night we returned to our favourite Aspiring campground (big A) in Wanaka. Had a little post-ski spa session and some fizz and canapés before heading into town for dinner. It was probably about 3km from the town centre so we planned to walk in. We got about 500m when I got bored of walking and suggested that we hitchhike. All of the cars on the one road would be driving into town from Treble Cone ski resort. This turned into the next competition of ‘who would get picked up?’ you got 3 chances and then we’d swap. I was ignored by all 3 cars. Benny then stuck his thumb out and ‘whoooooosh’ the brakes were on and a lovely couple picked us up and drove us into town. After dinner, glowing with the earlier success we also hitchhiked home. Ben was victorious again, but get this, IT WAS THE SAME COUPLE!! hahaha it was hilarious. It turned out that they were actually staying in the same holiday park so they dropped us off right at our camper! Pingback: Where’s Wallis? 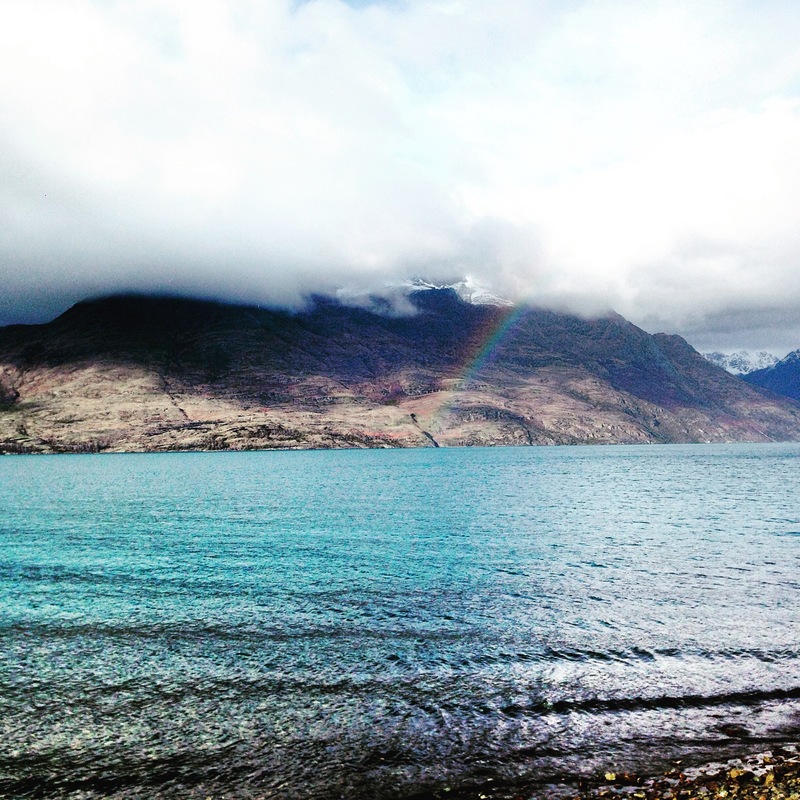 Milford Sound, South Island, New Zealand | Where's Wallis?